This chapter explains the approach to practices that was formulated to guide the analysis presented in this book. 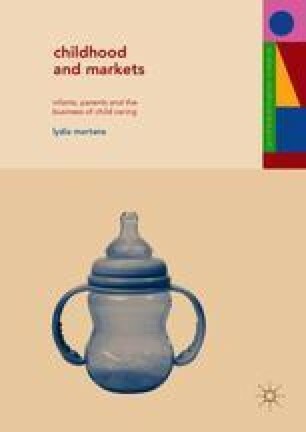 One of the arguments I develop is that it is in and through specific performances of the practice of child caring, in interactions in market space, that the value of the young child and pecuniary value are co-realized. I therefore turn to theories of practice and draw specifically on Theodor Schatzki’s argument that practices are social entities that are organised through a teleoaffective structure, principles and instructions, and understandings. The central practice I am concerned with is that of child caring. I start by identifying the peculiarities of carrying this practice. Challenging everyday understandings of child caring as an entity, I argue that a range of entities can carry this practice, and perform it in ways that are different from the kinds of performances to which common understandings of child caring point. Next, I attend to the teleoaffective qualities of child caring, and advance the argument that these qualities are structured through knowledge practices that understand the young child in ways that give the practice of child caring its reason d’etre. As child caring can be carried by different entities, teleoaffective structuration needs to be acknowledged as a political process. The teleoaffective structuration of child caring happens in and through the repeated performances of different actants, and I have therefore also drawn on science and technology studies and feminist theory to argue that the analysis should be guided by a horizontal methodology. The chapter closes with a discussion of the ethnographic and textual research that was conducted. Knoblauch, Hubert. 2005. Focused Ethnography [30 paragraphs]. Forum Qualitative Sozialforschung [Forum: Qualitative Social Research] 6 (3): Art. 44. http://nbn-resolving.de/urn:nbn:de:0114-fqs0503440.